I found this amazing recipe for oatmeal breakfast cookies. The original recipe calls them granola bars, but I try not to call things that I make with traditional store-bought names because I think what I make at home is much healthier, and I want my kids to know the difference. I adapted this recipe for soaking, and changed a few other amounts to suit my needs after the soaking, but the results were fabulous. I somehow still ended up with exactly what the original recipe yields – 15 cookies. This is a great on-the-go breakfast, especially if you have a large family. I think it is important to eat protein at breakfast, so I especially love that this recipe has plenty of protein in it by way of nuts. 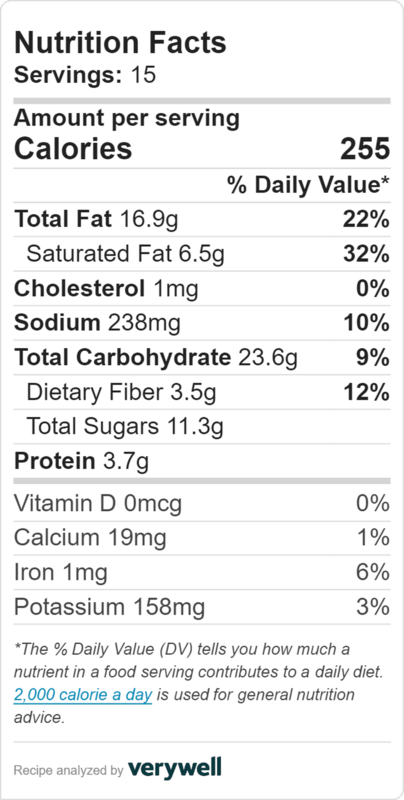 Almond meal is ground almonds. If you have a coffee grinder you can place a handful of almonds in at a time, and grind until have have a fine flour. You can also use a food processor, but the coffee grinder works better because you aren't using a large amount. I doubled this recipe, and after I made one pan of 15 cookies, I added a handful of chocolate chips to the remaining batter to make a sweet treat too. I used a combination of dried apples, prunes and raisins for the dried fruit. I used pecans and almonds for my chopped nuts, and I tend to chop very finely because I have a child that prefers not to eat food with nuts. She didn't even notice. These were gone way too fast in my house, and it is a recipe we will make again and again. I only used 4 bananas in the doubled recipe. I think because I used a food processor, and didn't just mash the bananas, it thins the banana out and you need less. This is a great on-the-go breakfast, especially if you have a large family. I think it is important to eat protein at breakfast, so I especially love that this recipe has plenty of protein in it by way of nuts. Combine oats, almond meal and oil in a large mixing bowl. Mix in kefir, cover and set out overnight. In the morning, mix in nuts, coconut, spices, salt and dried fruit. The dried fruit tends to clump up if you freshly chopped, so make sure to mix well. In a food processor, place bananas and process until smooth with vanilla extract. Combine banana mixture with oat mixture. Spray a baking sheet (or line with parchment paper). Using a round cookie cutter, about 3 inches in diameter, press batter into it to shape. I love that you call things by a different name that are made at home. It’s good for our kids to know that store bought stuff is not the same.